DESCRIPTION Nice starter, investment or family home on a quiet street. This 1164 sq. ft. raised bungalow features on the main floor large living room with parquet hardwood, galley kitchen, dining area, 3 bedrooms and 4 piece bath. The basement includes another bedroom with 3 pc. 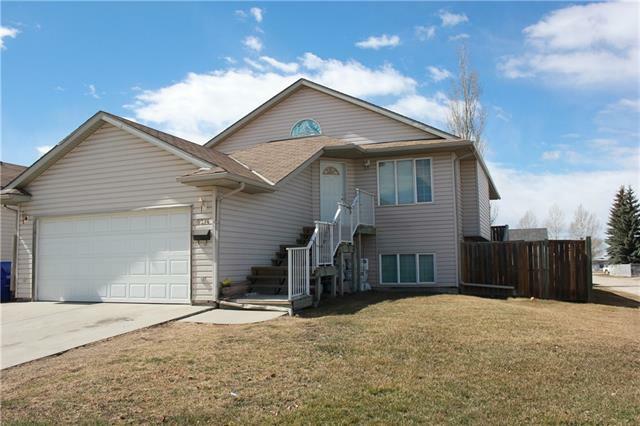 bath, large family room with corner gas fireplace and utility room with laundry. Other features include double detached garage, 2 sheds, 14'x18' side deck, firepit, roughed in central vac, new hot water tank (2015), new windows $ doors (2009). Home for sale at 4234 51 Av Olds, Alberts T4H 1A7. 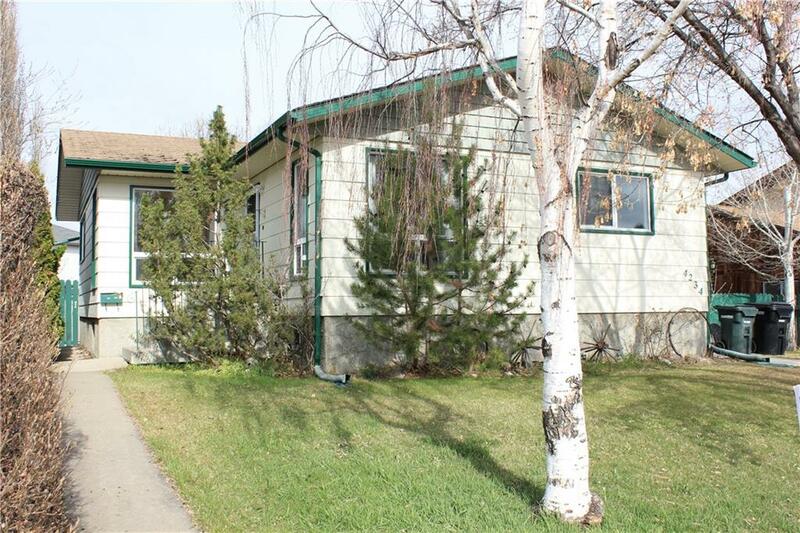 Description: The home at 4234 51 Av Olds, Alberta T4H 1A7 with the MLS® Number C4220877 is currently listed at $277,900.